The longing to feel whole is universal. It is a wanting for balance and wellbeing, a wanting to feel the deep connection to ourselves and our environment. There are many ways to walk the path towards the experience of feeling whole. Multidimensional psychotherapy invites us to integrate traditional knowledge of psychotherapy together with body, energy and spirit in such a way that expands awareness and deepens meaning. This approach is based on therapeutic tools from the fields of psychotherapy and Focusing philosophy, along with ancient knowledge of living and healing. It acknowledges our inherent ability to heal, and brings back the spirit, magic and the mystical to the therapeutic journey. Integrating knowledge from diverse fields, multidimensional psychotherapy creates a matrix of therapeutic approaches and life philosophies in one process. Traditional Psychotherapy: based on various approaches from the fields of individual, couple and family therapy. Well established and valued, these approaches have become the main source of personal development and relief from emotional suffering in western cultures. Focusing: a therapeutic approach and philosophy, bringing the opportunity to be in touch with our deeper selves through the felt sense. Focusing builds a natural bridge for integrating body, mind, emotion and spirit, seeing the person as an intrinsic part of a much wider whole. Ancient knowledge of living and healing: relating to spirit and fields of spirituality as inherent parts of our lives. From this expanded perspective, the narrow consciousness of separateness and aloneness widens, enabling a sense of connectedness and healing. Holistic energetic approaches: leaning on vast knowledge of energetic dimensions and frequencies. There is a growing awareness of the significance of energetic dimensions as a source and resource for balance and wellbeing, and the understanding that they are part of us. 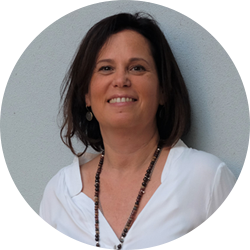 Ifat Eckstein (MSW) is a qualified couple and family therapist, Focusing teacher and coordinator, therapist instructor and supervisor, lecturer in Israel and abroad. Over the years, she has been drawn to the integration between levels of body, mind and spirit. “I have always been curious. I would observe the world and want to know how it works. I would observe people, feeling them from inside and sensing love towards them. I learned therapy because I was in need of a roadmap, to experience and learn through meeting. I have been meeting individuals and couples in my clinic for more than 25 years. Many times I have felt that mainstream psychotherapy for all its virtues is also lacking. I believe that in order to go through a whole process of healing and transformation, of change and connection to deeper meaning, it is necessary to connect mind and spirit, body and consciousness, fields that we have split over time, fields which once were naturally connected. 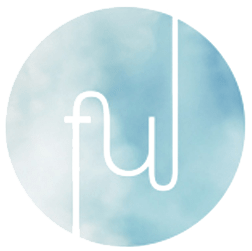 Widefulness was born to bring a new integration to the therapeutic space and to life itself.